High Dynamic Range (HDR) photography offers a new range of creative possibilities to the photographer who is skilled in the technique. 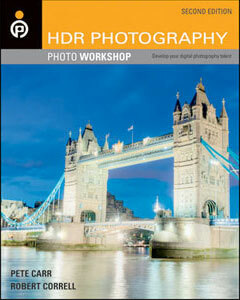 HDR requires specific camera skills as well as the use of specialized software, and the photographers who wrote this book are experts in both. They explain the process of shooting the same subject at different exposures, combining those shots into a single HDR image, fine-tuning brightness and contrast, minimizing noise, layering images, and more, including creative techniques with Photoshop and Lightroom. 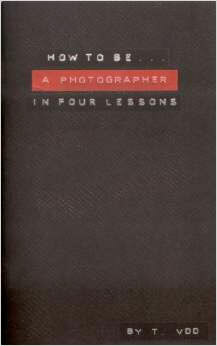 In this small, tongue-in-cheek booklet, Thomas Vanden Driessche outlines how to be a number of photographer types in four simple steps. Using humorous stereotypes, photo booth self-portraits and no little amount of self-depreciation, he enlightens the curious layperson who seeks to become, for instance, a contemporary photographer, war photographer, conceptual or surrealist photographer, wildlife photographer or modern photojournalist, and even goes so far as to include a (bad) amateur, wedding, kitsch, crowdfunded or emerging photographers. Steps toward becoming a photographer aligned with either the Helsinki or Düsseldorf school are an added bonus. 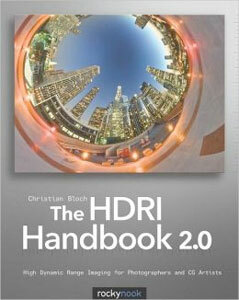 In 2007, The HDRI Handbook was the first book to present this revolutionary new field to a larger audience. These days HDRI is a fully mature technology available to everyone. Real estate and landscape photographers have adopted it as part of their regular workflow, it has become one of the hottest trends for ambitious amateurs and creative professionals alike, and the modern movie industry would be completely dysfunctional without it. Now The HDRI Handbook 2.0 redefines its own gold standard. It has been completely rewritten and is packed with practical hints and tips, background knowledge, reference tools, breathtaking artist portfolios, and inspiring interviews. The book includes dozens of new step-by-step tutorials. Beginners will get a methodically solid introduction and advanced readers will be able to refine their technique to perfection.